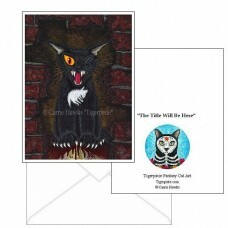 The Black Cat - Note Card - My interpretation of the "evil" one-eyed black cat from, Edgar Allan Poe.. The Black Cat - Keychain - My interpretation of the "evil" one-eyed black cat from, Edgar Allan Poe'.. 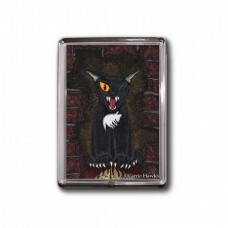 The Black Cat - Magnet - My interpretation of the "evil" one-eyed black cat from, Edgar Allan Poe's .. 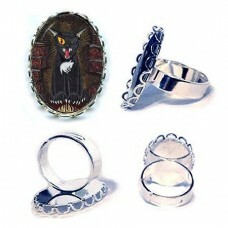 The Black Cat - Ring - My interpretation of the "evil" one-eyed black cat from, Edgar Allan Po.. The Black Cat - Cuffed Bracelet - My interpretation of the "evil" one-eyed black cat from, Edgar All..
Quote from,"The Black Cat by Edgar Allan Poe "......A dozen stout arms were tolling at the wall. It fell bodily. The corpse, already greatly decayed and clotted with gore, stood erect before the eyes of the spectators. 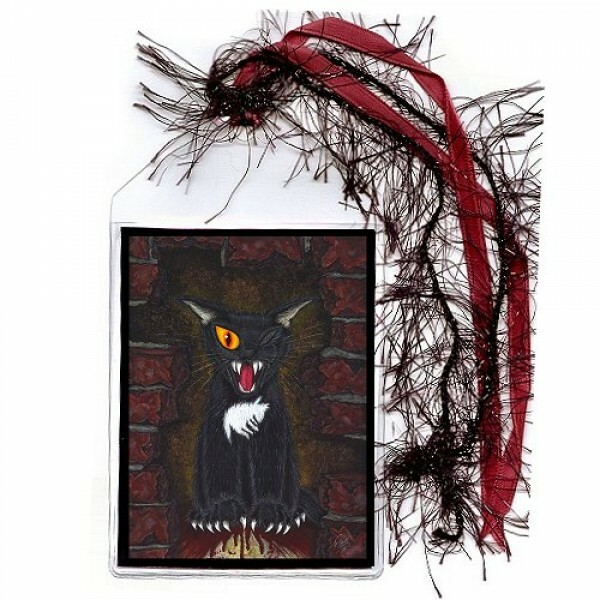 Upon its head, with red extended mouth and solitary eye of fire, sat the hideous beast whose craft had seduced me into murder, and whose informing voice had consigned me to the hangman. I had walled the monster up within the tomb!" The Black Cat - Note Card - My interpretation of the "evil" one-eyed black cat from, Edgar Allan Poe's gothic horror story, "The Black Cat" as describ.. 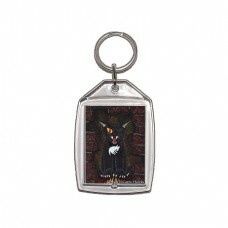 The Black Cat - Keychain - My interpretation of the "evil" one-eyed black cat from, Edgar Allan Poe's gothic horror story, "The Black Cat" as describe.. The Black Cat - Magnet - My interpretation of the "evil" one-eyed black cat from, Edgar Allan Poe's gothic horror story, "The Black Cat" as described .. The Black Cat - Ring - My interpretation of the "evil" one-eyed black cat from, Edgar Allan Poe's gothic horror story, "The Black Cat" as descri.. 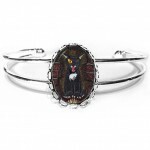 The Black Cat - Cuffed Bracelet - My interpretation of the "evil" one-eyed black cat from, Edgar Allan Poe's gothic horror story, "The Black Cat" as d.. 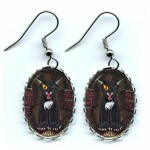 The Black Cat - Earrings - My interpretation of the "evil" one-eyed black cat from, Edgar Allan Poe's gothic horror story, "The Black Cat" as describe.. 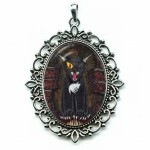 The Black Cat - Cameo Necklace - My interpretation of the "evil" one-eyed black cat from, Edgar Allan Poe's gothic horror story, "The Black Cat".. 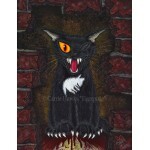 The Black Cat - Prints - My interpretation of the "evil" one-eyed black cat from, Edgar Allan Poe's gothic horror story, "The Black Cat" as described .. 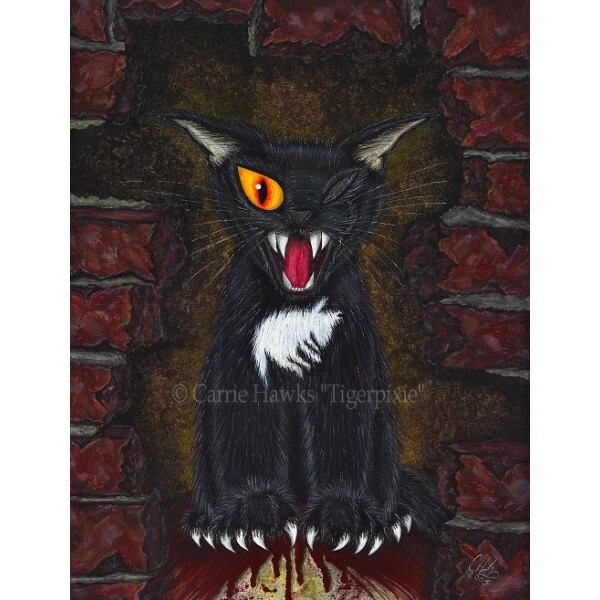 The Black Cat - Limited Edition Canvas Prints - My interpretation of the "evil" one-eyed black cat from, Edgar Allan Poe's gothic horror story, "The B..